We are living in uncertain times..again. 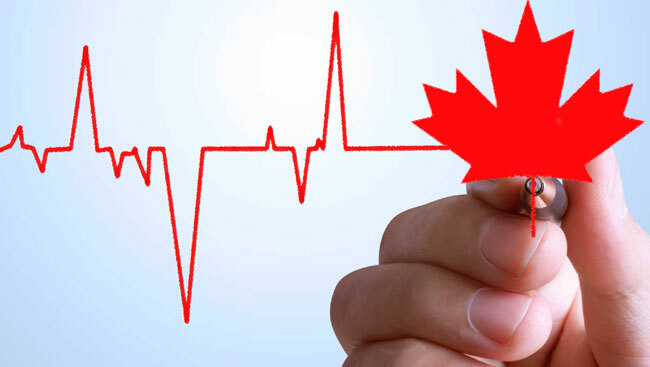 So, what can Canadians look forward to in the upcoming year – the unpredictable, for sure; however, there are a few trends we can pretty much bank on – maybe. Fixed rate mortgages are increasing. Since the U.S. election we have already seen some upward pressure on bond yields, which is one of the reasons fixed rates have increased. The U.S. Federal Reserve has already started to raise its rates. This may put pressure on the Bank of Canada (BoC) to start raising the overnight rate in 2017 and into 2018. Trade disputes with the US. The incoming president of the US has already said he will get tough on trade deals. Our softwood-lumber agreement will soon expire and you can be sure that will be a tough negotiation. Oil prices may be higher – this is already happening, which may lead to improvements in the economies of Alberta and Saskatchewan. Provincial growth. Royal Bank of Canada expects Ontario and Manitoba to be co-leaders in economic growth in 2017 while Alberta could place third and British Columbia and Saskatchewan may tie for fourth spot. The battered loonie may make some gains. Economist Todd Hirsch predicts the Canadian dollar will dip 70 cents early in the year, but will finish out the year at 78 cents. He also predicts the Federal Reserve will raise rates three times in 2017, while the Bank of Canada will sit on the sidelines until 2018. 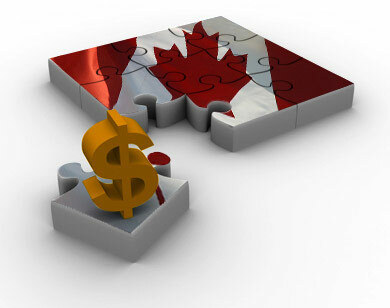 However, the loonie should stabilize and regain some ground toward the end of the year. Economy will expand to 2%. Bank of Montreal economist Douglas Porter predicts that the federal government’s long-awaited infrastructure stimulus measures should boost the economy. Changes to NAFTA & TPP. This could have a negative impact on Canada’s growth. The bulk of Canada’s exports go to the US. However, the new president hasn’t said too much about Canada, yet. In a best-case scenario, our trade ties could get stronger. 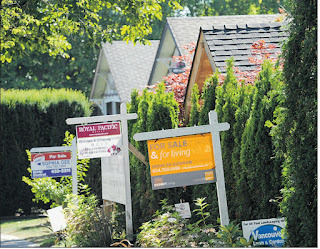 The pace of home prices will slow, especially in B.C. The latest numbers from the Canadian Real Estate Association (CREA) and the freshest reading of the Teranet-National Bank home price index are already showing this trend. An ample supply of listings relative to demand is anticipated to keep price gains in check. Help for first-time homebuyers. CREA predicts that housing sales, nationally, will decline, especially in BC and Ontario due affordability issues and tightened mortgage regulations. However, both provinces have introduced measures for first-time homebuyers to help with affordability. 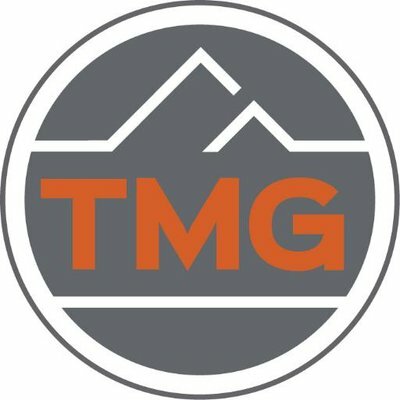 Housing sales will rise by 3.5% in Alberta. This is a hopeful prediction for the hard-hit province. Sales are also forecast to improve modestly in Manitoba and New Brunswick. Sales will ease slightly in Saskatchewan, Nova Scotia, Prince Edward Island and Newfoundland and Labrador. Perhaps it's just that I am feeling a little nostalgic today or perhaps it's the Toronto heat and humidity starting to get to me, but I was curious to see just how far we, as a mortgage industry, have come over the past number of years. There are many of you who were not working in this industry at the end of the last decade, a time when institutional 'A' lending included beacon scores of 620 or higher. In fact, there was a 'sandbox' that allowed lenders to extend as much as 3% of their loans to clients who had beacon scores as low as 580. At the same time 'A' lenders were able to provide loans on stated income; 65% equity deals were commonplace; rentals and refinances could be had up to 95% loan-to-value; mortgagors could amortize to 40 years and purchasers could borrow with $0 down. When the Global Financial Crisis (GFC) hit, we witnessed a market collapse in the United States. Canadian regulators, policy makers and government did not want to expose us to the same fate. They enacted a series of regulation and policy changes, which did a good job to ensure prudent lending practices. Loan-to-value limits were changed for refinances and rental properties. There were more stringent underwriting guidelines, including higher beacon scores. And while recoveries were muted in other countries, our economy, fueled by a buoyant resource sector and low interest rates, allowed our housing market to remain robust. With low interest rates and a healthy housing market, prices continued to rise. 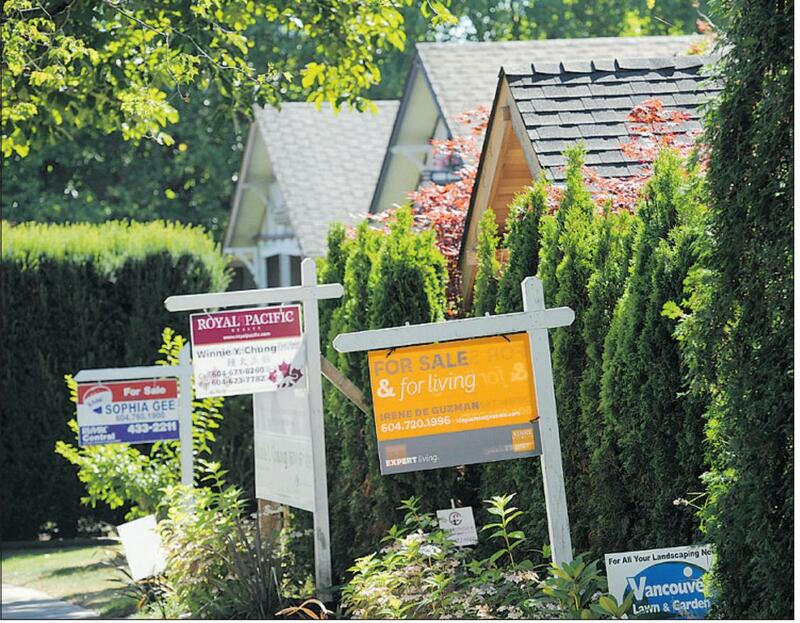 The increase in home values has been most noticeable in Toronto and Vancouver. Policy makers and regulators who were once viewing decisions based on ensuring strong credit standards are now also viewing decisions under the microscope of appreciating prices and increasing debt levels. In the early winter of 2015/6, we saw the introduction of larger down payment requirements for higher-valued homes. We are now hearing about increased capital requirements for homes in certain geographic areas and most recently, there have been suggestions that we deal with supply side constraints with demand side policy restrictions. These latest recommendations are all in an effort to help slow down a housing market to prevent a potential crash. Around the same time as the GFC started to impact liquidity, lending guidelines, etc., the composition of the Canadian lending environment also started to change. First, a number of alternative lenders left the market; for example: Accredited and GE Money. Then, a number of 'A' lenders either shut down or stopped originating loans through mortgage brokers such as FirstLine, HSBC, ING, VanCity. While we have lost a number of lenders, which has the potential to impact competition and ultimately the rates offered to clients, a number of new entrants have entered the market as well. RMG emerged stronger than before as well as Marathon Mortgages and Manulife Financial, to name a few. 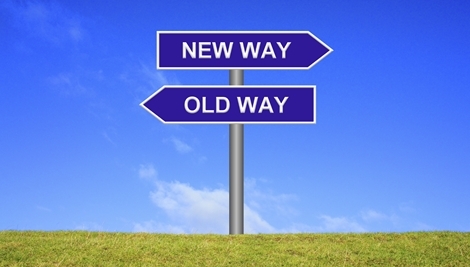 And while guideline changes have made it much harder for many borrowers to qualify for 'A' lending products, there has been a resurgence in the alternative and private lending markets to fill that void. When I look back on our industry I feel a huge sense of pride. We have navigated through constant change with leadership and professionalism. In fact, broker share has grown from approximately 23% to 30% during these tumultuous times. The strength of the mortgage broker channel is leading to consumers saving significantly on their mortgage costs as well. 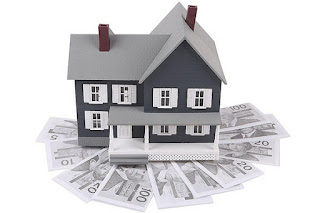 A 2011 study by the Bank of Canada said the average discount of borrowers who use a broker was 19 bps. Even if that number of 19 basis points is overstating today’s savings and we reduce it by nearly half, say to 10 basis points, that means that of the approximate $75B in total mortgages originated by brokers, Canadians save nearly $75,000,000 (per year) in their mortgage payments. Furthermore if the entire mortgage market is $225B in annual mortgage production and the remaining $150B not originated by brokers saved only 5 bps on their mortgage transactions due to the competition enabled by the broker channel, Canadians saved a further $75M in payments annually. Those funds could be used for spending or to pay down more expensive forms of debt. The mortgage industry was once thought to be a low risk, moderate return business for the banks. It certainly was not front page news. Today, discussion about interest rates, home values, qualifications, and economic drivers from housing seems to be part of our regular conversation. As Canadians access more and more information, they continue to select mortgage brokers to present them with options to help them secure home financing solutions best suited for their unique needs. There are a lot of unknowns regarding BC’s decision to tax foreign home buyers, a requirement that took effect this week. The impact on the market was immediate. Real estate agencies, mortgage brokers, lawyers and notaries scrambled, during the week leading up to and including the holiday weekend, to close the sale of hundreds of homes leaving many home buyers frazzled before the August 2 deadline. In fact, it was so busy, the land registry system crash, forcing registration to be done manually. Provincial Finance Minister Mike de Jong unveiled the 15% tax levy on Monday, July 25, leaving less than a week for the housing market to react. The tax is part of legislation aimed at foreign ownership, which has been blamed, at least in part for low vacancy rates and high real estate prices in southern B.C. The biggest issue for Pultr and others in the mortgage and real estate industry is that the new tax is based on the closing date and not the contract date. Moody’s, the bond credit rating agency believes the tax will likely slow down the steep house price appreciation in Vancouver that has grown over the past decade. For example, a foreign buyer will pay $168,000 in land transfer taxes on a $1 million home in Vancouver after Aug. 2, compared to the $18,000 cost for a Canadian citizen or permanent resident. Other countries, including Hong Kong and Australia have imposed similar taxes designed to stem foreign investment in real estate. The new tax also applies to foreign-controlled corporations that are not incorporated in Canada or in which at least one beneficiary is a foreign entity. Interestingly, the tax does not apply to commercial real estate, an area that has seen increased interest from foreign individuals and entities. The leading commercial indicator has been at an all-time high, and because a lot of commercial buildings are done as share sales, property transfer tax is avoided all together. So the tax would only be levied on a foreign-controlled company that purchases residential real estate. However, the tax does negatively impact some home buyers. Chris Adkins, a 12-year veteran mortgage broker for TMG The Mortgage Group in Vancouver believes the short term effect will be a psychological one. In the long term, he doesn’t think much will change. Adkins suggested that BC might have looked at the Australia model more closely, which levies a foreign tax on homes in the higher price range. Can this happen in Toronto? Ontario Finance Minister Charles Sousa has said he is “looking very closely” at BC’s new tax, but is Toronto in the same situation as Vancouver? According to Murtaza Haider, associate professor of real estate management at Ryerson University, the two cities are vastly different, despite both having high prices. Again, the supply and demand argument comes into play. “What you see in Toronto is a supply constraint. New homes are not coming in at the same pace and at the same time the demand is slightly higher… and that is also contributing to higher prices here,” he said in an interview with Macleans Magazine. A new Angus Reid online poll conducted last week in BC found that most respondents support a tax on foreign buyers of Metro Vancouver homes but doubt it will be effective to cool the region’s red-hot real estate market. And despite the new tax seven out of 10 respondents believe affected buyers will manage to find loopholes allowing them to get around the new tax. All news channels, and most of the world, have become obsessed with Brexit, for good reason. In what is a now a historic moment, the majority of voters in the United Kingdom voted to exit the European Union (EU) – a partnership that came into existence after the Second World War. 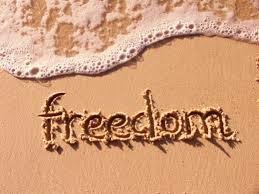 It morphed into an economic and political union of 28 countries working as a single market, which allows free movement of goods, capital, services and people between member states. The negative effects of this decision was immediate – markets dropped, currency values fell and trade relations have become shaky. The reason -- uncertainty. No one knows the long term implications -- not the economists, not the leaders of the remaining countries, not even those who voted to leave. And it may take years to find out. The immediate impact of the post-Brexit vote on Canada's economy will be pressure to keep interest rates at historically low levels, according to BMO chief economist Douglas Porter. That's good news for consumers. The U.S. Fed, which seemed ready to hike rates in September, will likely delay that decision, for now. In Canada, economic conditions continue to support low interest rates and a delay by the US will almost certainly leave things unchanged. The Bank of Canada's latest rate announcement held the overnight rate at .05%, which is good news for variable rate mortgage and loan clients. The Loonie fell fast after the vote, relative to the US dollar. In the end, it lost more than a full cent, closing at 76.93 cents US. However, on a positive note, relative to the Pound and Euro, the Canadian dollar has strengthened, as Europe grapples with the economic fall out, so if you're headed to the U.K. or Europe, chances are you'll be pleasantly surprised with the exchange rate. If some of your savings are in equities or mutual funds, the Brexit vote may have had a surprise negative impact on your portfolio. However, most economists don't believe another financial crisis is at hand. Historically, markets tend to overreact at first then start to reclaim some of their losses. Although Brexit is cause for concern and has created uncertainty, the long term impacts are still not known and many are saying the reaction is overstated and to hold on until the dust settles. Canada is at a crossroads right now. On the one side, many real estate investors will be looking for alternative stable regions to invest in than the UK at the moment, and Canada may be the most attractive. That said, foreign investment in Canadian real estate has already been cause for concern in some key markets. In the short term, there will definitely be an increased demand for Canadian Real Estate from St. John’s to Victoria, to Vancouver and Toronto. The key development will be how foreign investment in real estate is handled by policy makers. While Brexit has created uncertainty in a dramatic way, there is an upside. If you're searching for a new home, you’ll continue to enjoy record low interest rates and your home may be worth more than ever before. If you’re looking to refinance to pay off debt or lower your borrowing costs, increased property values and low interest rates help home owners unlock some of that equity they’ve built up as property values continue to rise and the most advantageous terms. 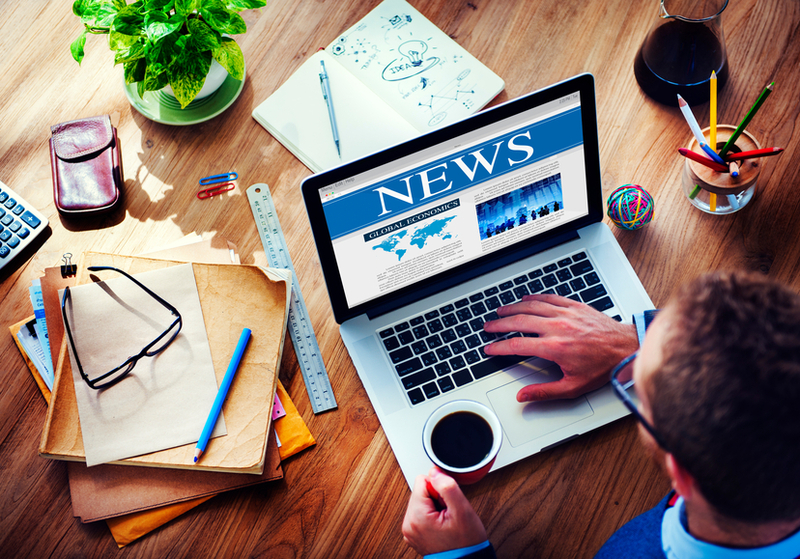 For the last few weeks we have been seeing flashes of news stories on the upcoming BREXIT vote, and this morning we have seen the results. Britain has voted by a narrow margin to withdraw its participation in the European Union (EU). I have to admit I am a little bit of a political junkie. I often have CNN.com in my background at work and spend my time in the car listening to satellite news radio. And while we (O.K, I) were led to believe that the STAY vote would ultimately prevail, it was the LEAVE momentum that succeeded in the end. Democracy in action is really a beautiful sight to see. Regardless of what position you had started on, everyone is now bound by the realities and the wishes of the majority. We see this storyline play out time and again. We see it happening in the US presidential election and we bear witness to it at home on a regular basis. Even if you were a staunch Harper supporter in the Fall election, Trudeau is our Prime Minister. While there are certain elements of nationalism in recent social movements in western democracies there are also elements of xenophobia and demagoguery and those are the things that concern me. Regardless of how close the polls had this vote, the markets were not anticipating this outcome. I actually was listening to a radio show yesterday afternoon that was quoting the U.K ‘bookies’ estimating this outcome at 20%. Since the markets were expecting a different result, the volatility that we have seen so far today was not to be unexpected. The British Pound has fallen to a level not seen in 31 years, markets around the world are selling off and commodity prices (with the exception of gold) are falling. I guess it is a little ironic in some ways that this movement to opt-out of an economic union has reminded us just how much we are all intertwined globally. The UK amounts to a very small trading partner for Canada. That said, perhaps (just perhaps) this new global economic volatility will lead to a ‘natural’ slowing down of some of our heated housing markets. Perhaps the US Fed will remain on the sidelines a little longer before it starts increasing rates. Perhaps this will in some way help our housing concerns here at home. At the end of the day though when all is said and done, we will continue to drive forward, our markets will eventually rebound and we will see the market swings subside … that is until the next geo-political item plays out. 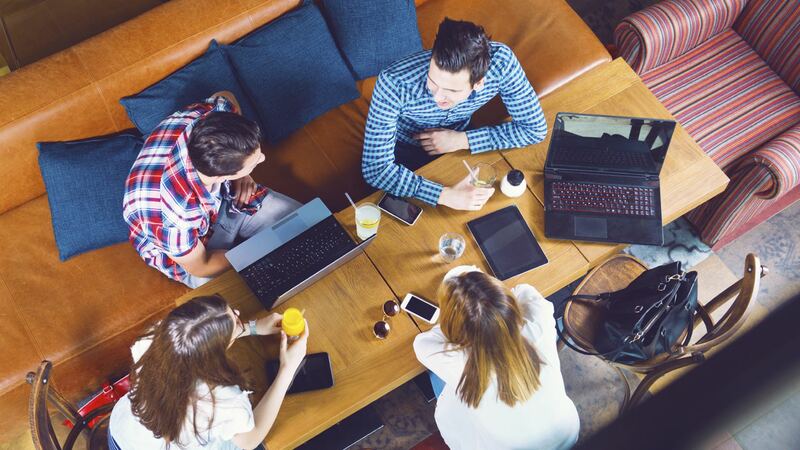 Recent reports from two of Canada’s major banks -- CIBC and ScotiaBank -- offer a glimpse into the world of millennials and home ownership as well as the impact of the Internet on mortgage hunting. Bottom-line: Nearly two-thirds of millennials plan to own a home in the next five years, but don’t have the money for a down payment yet. Ninety-six per cent of Canadians rely on the Internet for information but 70% of those still rely on advisors for mortgage advice. Although it may not be easy to get a mortgage, it is doable. Working with a mortgage broker, who can help map out a strategy, is a key step to make the dream of home ownership a reality. In fact, the result of a ScotiaBank poll found that 98% of Canadian now rely on the Internet for information, yet 70% still look to advisors for their mortgage advice. This is likely due to sheer volume of information available online. The bank also predicts that by 2020, less than 1 in 10 financial transactions will occur in branches, which means that online transactions will increase. In the mortgage industry, with historically low interest rates, it’s easy to shop the market to find a low advertised rate, whether from your local bank or from your mortgage broker. However, mortgages are not as simple as some make them out to be, especially when rate is all that is considered. Again, the sheer volume of information online can be overwhelming. While getting informed through Internet research is a good thing, once armed with that information, it’s still important to work with a licensed mortgage professional who will ask the right questions to tailor a custom-fit mortgage that works for short and long term goals. 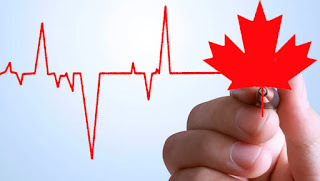 The Canadian economy is poised to grow again, but in a very different way according to the Bank of Canada’s (BoC) recently-released Monetary Policy Report. The BoC expects global economic growth to strengthen…. gradually… and modestly. Once again, the U.S. market is impacting growth in Canada. While there is demand for our exports, US residential investment and investment in their oil and gas sector, which are key sources of demand for Canadian exports, has changed. Economic activity there expanded at a modest pace at the end of 2015 and the beginning of 2016, and while it was hoped that there would be strong momentum, it hasn’t happened. Growth is expected to remain modest for the year. Not surprising given it’s an election year. The battered loonie has been showing signs of life. It recently hit 79.50 cents US at one point during the last week in April -- its highest mark since July 2015. Unfortunately, economic recovery in the euro area and Japan continue to yo-yo. Low oil prices and exchange rate depreciations have dampened growth. In the euro area, growth is also being restrained by ongoing deleveraging, weak investor confidence and tight lending conditions. In Japan, lackluster wage growth is restraining consumption. The inflation rate is projected to stay below 2% through 2016. Core inflation is expected to be around 2% through 2017. The economy is also in transition, moving toward non-resource sectors. This adjustment is expected to contribute to the moderate growth cycle we are now in for the next two years. However, it’s not all bad news. Economic activity through 2016 and 2017 has been revised up, thanks to measures introduced in the federal budget in March. The gap between growth and activity is likely to close sometime in the second half of 2017. This adjustment period is expected to last until 2019. New construction and activity in the resale market is strong in British Columbia and Ontario, relative stability in Quebec and the Maritime provinces, although there are declines in housing activity in oil-producing provinces. The strength in British Columbia and Ontario appears, in part, to reflect local demand stimulated by employment growth. The shift in interprovincial migration in response to the oil price shock is reinforcing the regional divergence in housing market activity as workers leave the oil-producing provinces for Ontario and British Columbia. The strength of housing demand in Ontario and British Columbia is contributing strongly to growth in residential mortgage credit. There will be lots to watch in the upcoming year as the world transitions. What that will look like is anyone’s guess. What is happening to Canada’s housing market? Well, that depends on where you live. But first, let’s look at the economic big picture. Oil prices are the lowest we have seen in decades – oil is currently trading around $29 a barrel. Why has this happened? Certain oil producing countries have flooded the market, which has driven the costs down. It’s no surprise that this downhill slide has had a negative impact on the Canadian economy as whole, and in particular Alberta and Saskatchewan. The energy sector accounts for more than a quarter of the national GDP. When the energy sector is doing well, so does the real state sector in those provinces and so does the economy as a whole. Now to the Loonie which is trading in the low 70 cents U.S. The last time we saw this rate was in 2003. More disconcerting is that our dollar has lost more value against the U.S. dollar than other major currencies, including the Pound or Yen, leading some economists to whisper the “R” word. However, we have been in a “technical” recession for a couple of quarters now. 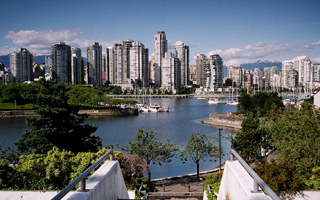 Foreign investment in the Canadian real estate market has driven prices up in provinces like British Columbia. This is welcome news to those who own property, but as we’ve seen in the Greater Vancouver area, increased prices have made the market, for first-time home buyers, at least, more unaffordable. Foreign investment is a major factor and the low dollar makes investing here an attractive proposition. A snapshot taken from across the country shows continuing high prices in Vancouver and Toronto, and shows a sluggish economy in Alberta and Saskatchewan. Housing starts are down across the board yet prices are still expected to increase, especially in high demand areas. Despite the somewhat gloomy reports, it isn’t all that bad. First of all, mortgage rates, both variable and fixed, are low, making it easier for first-time home buyers to purchase a home, especially in markets outside of Vancouver, Toronto and Montreal where prices are more stable. And that’s the other plus – homes outside those areas are affordable. The new down payment rule may not affect areas outside large markets. The new rule requires that a 10% down payment is required for the amount that goes over $500,000. For example, a home purchased at $600,000 requires 5% down on the first $500,000 and 10% down on the balance of $100,000 for a total of $35,000. Prior to the new rule the down payment would have been $30,000. Another factor is supply and demand -- as the population continues to grow, people have to live somewhere. There are still more buyers out there then there are sellers, which means there is still a demand for homes. And so far, it doesn’t look as if the market is slowing down, with the exception of Alberta – Saskatchewan is already seeing increased activity. The Spring market will soon be upon us and will come at the heels of the new Liberal government’s much-anticipated budget. Prime Minster Trudeau vows to make it a budget focused on stimulating the economy as the country weathers this slow period of growth. In the meantime, there will be no bubbles bursting in a housing market that is remarkably resilient. I have a great deal for you – give me $100 and I will give you back $99. No? Well, that would be the result of a negative interest rate scenario The Bank of Canada’s (BoC) Stephen Poloz has alluded to as an option in case of another global economic crisis. We’re not there yet and it is unlikely we will ever get there, but if we did, it’s not likely consumers would be impacted in a big way. So what would happen if we had sub-zero interest rates? First of all, that loan deal presented at the beginning of this article would be the scenario for the banks. When you put money into a deposit account, you earn money on that deposit. For example, if you deposited $100 and 0.5% interest rate, you end up with $100.50. A negative interest rate works the other way. 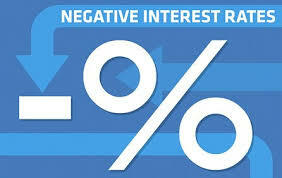 If you deposited $100 at a negative 0.5% interest rate, you would end up with $99.50. If banks were to keep borrowing from the BoC, they would be paying for the privilege of doing so. The idea is to force the banks to be more liquid. Instead of saving, they get a financial return by using more of their funds for loans. It’s not a “normal” response to an economic crisis but a few countries have gone there recently – Denmark, Sweden and Switzerland, for example. The BoC has other tools and the new government is working on a stimulus package that will likely help get the country growing again. Loans may cost less but loans wouldn’t necessarily be easier to get -- consumers would still have to qualify. And unlike in Denmark, where some banks are paying mortgage holders a small monthly interest on their home loans, that is not likely to happen here. Also, if rates did go sub-negative, it likely wouldn’t mean added banking fees for saving-account customers either. If that were to happen, consumers would just hoard their cash. “The lower rates go, the more likely you are to spend,” said Carlton University economics professor and monetary policy expert Nicholas Rowe in an interview with Global News. And low interest rates stimulates the economy because, “it’s a big encouragement to go out and spend your money,” he added. As for mortgages, the variable rate might be affected but fixed rates are depended on the bond market. In fact discounts from prime on variable mortgages have actually decreased significantly in recent weeks. Encouraging home ownership is good for the economy overall because when people buy homes, they also buy other goods for that home. There are two reasons to cut interest rates: to stimulate the economy through increased borrowing and consumption and to devalue the currency to boost exports. There may be some good news on that front. Many Canadian economists expect good news in the upcoming months. Although it has taken longer than expected for the economy to depend less on the oil sector and more on the manufacturing sector, growth is expected in 2016 and 2017. If so, BMO’s call for just over 2% economic growth in 2016 and 2017 edges a bit higher to 2.5%. Although it’s not likely we’ll see negative interest rates, it’s good to know there is a plan in place, just in case.